The times when computed accounting was the gift of few is luckily far behind us – now that most finance management operations are performed in cloud, accountants from small and medium-sized companies can get grasp of digitized accounting’s benefits, and do so without installing expensive programs or undergoing cumbersome training. To start with, off-the-shelf and cloud-hosted accounting software systems cost considerably less than they did a decade ago, carry out all regular functions, and pull off just the same balances and reports. What is even more impressive to qualified accountants is the degree of customization they allow, and which resembles quite closely the homegrown accounting systems of PwC-grade companies. To make matters even better, they are fast and accurate, and come packed with collaboration whistles that keep the whole time in the same line. As they are hosted in cloud, users won’t even have to worry about updating and maintenance – all changes up to date will be resembled in these systems automatically, and in real time. Depending on what you’re looking for, you may find yourself overwhelmed with promising systems and well-priced solutions. Some of them will focus on data legibility and invoicing efficiency, others will perform complex debtor analytics and pull off free reports, while the most advanced among them will even figure out taxation issues and GST/VAT returns on your behalf. 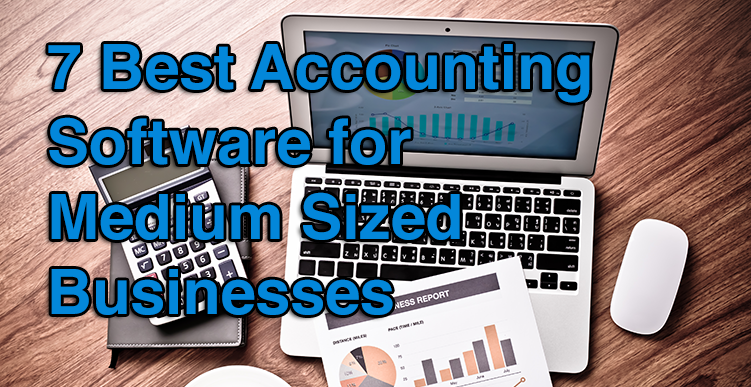 Discovering what is the best accounting software for medium sized business is not an easy task, which is why we’ve listed the top 7 performers in this category to make the choice easier for you. FreshBooks is the leading app on our list of best accounting software for medium-sized businesses, and the current frontrunner of this category. From an expert point of view, FreshBooks is a one-stop-shop for small and medium businesses, as it is fast and reliable, and simplifies even the most cumbersome accounting operations. Just recently, the company introduced a whole new version of the system that is modernized, easier to use, and fully enabled with the necessary collaboration features for faster and more efficient delivery. The system has nevertheless preserved the original value it delivers, namely accurate billing, online payments and alerts, invoice-to-payment tracking with snaps, and outstanding reporting. If you want to try out the key features of the software on your own you can easily sign up for FreshBooks free trial here. Why is FreshBooks suitable for medium-sized businesses? It is the easiest and most intuitive accounting system you’ll ever use. With Freshbooks, you enjoy a beautiful and friendly interface, natural collaboration with your team companions and partners, and improved quality of work. Task prioritization is automated, and no training is required to onboard new users. Maintenance and upgrades are automated as well, and the system is available on all devices and operating systems. It saves billing time. FreshBooks redesigned its time tracking for billing purposes by allowing companies to accept payment online, and to do so via various payment gateways. What is really facilitated in the system now is capturing expenses, as all tasks are prioritized by the system, and displayed in a way which helps you depict the most important assignments for your team. It manages billing history and tracks past and current invoices. Freshbooks sends automated overdue payment reminders to your clients. This enables you to stay on top of your cash flow and you don’t need to argue with customers about missed payments. It streamlines invoicing using popular online payment gateways. FreshBooks makes managing payments flexible as you can settle accounts with MasterCard, Visa, Amex, Google Checkout, or use PayPal for online payments. It tracks time & expenses for more transparency. The system comes handy if you need to liquidate expenses after a client meeting: you simply click a picture of the receipt and attach the snap to an item in FreshBooks to log the expense. You can also easily track which expense belongs to which client, or add the expense to an invoice as a reimbursement deal with a particular client. In terms of tracking working times, FreshBooks allows you to confirm the accuracy of your charges in case the client decides to dispute them. You can even use the iOS and Android apps to track your working time in the field and allow agents to calculate running bills for their payments. It offers enterprise-grade customization. Due to the fact FreshBooks is also applied by large businesses, the least you should expect from it is an array of configuration possibilities. You can attach all the files you want, trigger notifications and set alerts for delayed payments, assign expenses and different rates for each project, track billing, and brand invoices in an easy manner. It integrates with more than 30 third-party apps and systems. FreshBooks is seamlessly connected to several types of business applications, including prominent names such as Google Apps, Capsule, Acuity Scheduling, PayPal, MailChimp, and many more. FreshBooks pricing starts from $15/month for the Lite package (bill up to 5 clients) and goes up to $50/month for the Premium edition (up to 500 active clients). A comprehensive 30-days free trial is also available for users interested to test the system. You can easily sign up for FreshBooks free trial here. Sage 50cloud is an accounting platform that provides enterprise-grade capabilities for small and medium-sized businesses, helping them manage their financial operations and compliant with taxes and reporting requirements. It offers best-in-class accounting features which include budgeting, cash flow, invoicing, expense management, and inventory, among others. Furthermore, it provides a wide array of add-ons including credit card processing, HR/payroll, POS, e-commerce, data management and more. With its mobile capability, you can make payments on-the-go and bill customers, and provide your accountants real-time access to accounting books. An appealing test drive of all software features is available to you when you sign up for a Sage 50cloud free trial here. Why is Sage 50cloud suitable for medium-sized businesses? You get the best of both worlds. Sage 50cloud combines the power of a desktop software and the convenience of a cloud solution that you can use for storing and accessing financial data. It offers 50 features and capabilities. Its comprehensive features cover all financial tasks and functionalities to give you one complete robust accounting platform. It provides automated backups. Get security and peace of mind with automated data back-ups stored offsite, in the cloud. It also lets you undo data entry errors by restoring data from the cloud as of a particular date. It syncs with your Microsoft Outlook. The software automatically syncs Microsoft Outlook contacts and Sage 50cloud contacts to save you time, letting you access customer balance information, credit limits, contact details, and order history even if you’re away from the office. It lets you efficiently manage stock and inventory. Sage 50cloud’s inventory and stock management add-on allows you to automatically update stock levels and use audits and stock valuations to manage assets with data synced between desktops and the app’s cloud servers. Sage 50cloud is available in three budget-friendly enterprise pricing packages with the cheapest plan pegged at $44.97/month that includes all essential accounting features. QuickBooks Enterprise is another top-notch representative from our Accounting & Finance software category, and it is certainly one of the most popular options on the market. Specifically designed for high-growth businesses, this program is built to scale up or down depending on the needs of your business. What’s more is that users can take advantage of this platform’s functionalities without breaking the bank. Lastly, our experts recommend QuickBooks Enterprise’s vast array of insights and organizational capabilities which will help companies keep accounting data organized, including their overdue items, payable bills, accounting notes, contacts’ data, and standard accounting operations. Why is QuickBooks Enterprise suitable for medium-sized businesses? It offers efficient navigation. QuickBooks Enterprise is a result of long years of research in the accounting sector, and a system that genuinely appreciates customer feedback. This is why they prioritized the task of making their system usable with minimal training and created an easily navigable layout that transforms boring accounting tasks into enjoyable processes. It eliminates the need to use additional software. QuickBooks Enterprise offers a comprehensive set of features that cover financial management and reporting, sales management, inventory monitoring, as well as payroll creation. In addition to that, the platform supports industry-specific functions for various sectors such as retail, manufacturing, and nonprofits. This way, you don’t need to rely on multiple software solutionsfor your accounting operations. Reporting is automated. QuickBooks Enterprise will allow users to customize reports the way they want them, and schedule them in an organized calendar skipping problematic delays and missed deadlines. All reports in the system are enabled with smart reporting filters that can be used multiple times to capture even the tiniest, yet relevant payroll item details. Security is taken care of. QuickBooks Enterprise reinvents the concept of protecting accounting data, and does so with a number of security updates. For instance, you can activate the ‘Remember me’ option, modify safety preferences, and login only after 90 days of continuous using of this system. The admin decides whether this option will be visible or hidden for other users. It has a scalable interface. QuickBooks Enterprise can integrate with over 180 third-party applications to allow you to extend its functionalities according to the changing needs of your business. In addition, they have flexible plans that can support a large number of employees as well as multiple office locations. QuickBooks Enterprise is available in different payment plans depending on your deployment preference and required feature set. For cloud-hosted plans, prices range from $140/month to $198/month. Meanwhile, their local-only plans are priced at $1155/year to $1848/year. A free trial is also available. Xero combines in a great way accounting and collaboration features in order to help midmarket teams maximize the use of their potential. It is specifically designed to facilitate accounting in mid-biz environments, as even users with no accounting knowledge find it easy to manage, and it transforms some of most standardized and complex financial concepts into an enjoyable journey. Double bookkeeping, for instance, can be traced back to the origins of business as a whole, but Xero managed to break the stigma of it not being conductible by non-expert users. Customization is also outstanding: the logic and the terminology remain the same, but operations get just as complex as your business niche needs them to be. Partnered with a number of accounting systems and third-party apps, Xero gives you the opportunity to extend its usefulness from all possible aspects, and to use it regardless of your software history. Why is Xero suitable for medium sized businesses? A setup without overtimes and complex training. From data entry to deep accounting, Xero is designed to facilitate the already cumbersome financial operations, and reduce the time spent scrambling voluminous records. You can get it up and running in few hours, and rely on the company’s reliable tech support for all questions and inquiries. A simple and intuitive interface. Most of the system’s functionality is concentrated on the Dashboard, where you can monitor the company’s billing and invoicing status and compare finances in fancy charts, but also access directly all action sections that matter to your financial management. There are seven tabs overall, but most of the functionality is bundled in the Settings tab, where you enter corporate information and adjust financial settings. It simplifies transactions. With Xero, all purchase files can be edited within seconds, in particular the ready templates offered by the system for those who prefer to skip drafting individual ones. If you’re not that much of a creative person, open the template, and check/uncheck just as many data fields as necessary to make the documents feel personal. It is an affordable inventory and stock management powerhouse. Xero allows you to create and keep detailed possession records to use automatically in your transactions. All of these records are robust, and contain details such as tax status, purchase costs, committed quotes, and relevant descriptions. Basically, you get to track all of your assets for as much as $25/month.  It offers an incredible list of integrations. Xero can be seamlessly connected with a large number of third-party applications, among which names such as Harvest, Stripe, PayPal, Zenpayroll, Expensify, and many more. Xero’s plans start from $25/month (Starter Plan for 5 invoices, quotes, and bills) and go up to $60/month (Premium Plan for unlimited invoices, quotes, and bills). Zoho Books is a reputed member of the company’s ultra successful productivity suite, exclusively designed to meet the needs of growing businesses. enerally, it can be described as an intuitive accounting solution designed for small businesses to handle their finances and to remain on top of their cash flow. It is very simple, easy-to-use, and able to help you make intelligent, data-based decisions. It is also the pioneer accounting product of a reputed software provider, which eliminates all worries related to uptime, support, or security. Other highlights of this system are its numerous integrations, and the lowest pricing scheme discussed on this list. Why is Zoho Books suitable for medium sized businesses? It automates bank feeds to save time and money. The distinctive advantage of Zoho Books is how it eliminates data entry, and allows you to import all bank and credit card transactions, and categorize those according to your bank’s rules. This possibility doesn’t only save time, but makes sure you’re working safely, and in line with all compliance standards. It helps you bring more customers on board. Zoho Books enables end users to access their estimates and invoices, and make direct payments using the robust online client portal. Another handy possibility for your clients is to accept/decline their estimates, and to comment on them. In this way, the company will benefit from a more credible service and better reputation. It facilitates and accelerates payment reconciliation. Zoho Books is tightly integrated with Stripe in order to reconcile each type of transaction, looking at the full picture of how money are moving in and out of the clearing account, and which processing fees are going to apply for it. It eliminates all collaboration obstacles between sales and accounting teams. Thanks to the fact that Zoho Books is integrated with Zoho CRM, you can also use it to follow the credit statuses of your customers, create new orders, access product pricing information, and much more. It operates in several languages. Growing businesses looking to expand their operations in other countries should also consider Zoho Books, as the system is available in English, German, Spanish, French, Italian, Dutch, Portuguese, Swedish, Chinese, Brazilian, and Japanese. How much does Zoho Books cost? Zoho Books is predominantly designed for small and medium businesses, which is why it offers one of the lowest and most flexible pricing schemes. The lowest plan is the Basic one ($10/month for 1 user and 25 contacts), while the highest is the Professional Plan ($29/month for unlimited contacts, users, and inventory management). Intacct is a top quality cloud-based accounting platform created for small to medium-size businesses. It is particularly useful to companies moving out of entry-level accounting like QuickBooks or midmarket systems such as Microsoft Dynamics GP, and such looking to work with an AICPA powered accounting partner. Rapidly growing industries that require active financial monitoring such as healthcare, wholesale distribution, and retail can benefit from this software, as well as its powerful integrations such as Paychex, Clarizen, Development Sandbox, and Salesforce. At the same time, Intacct provides a mobile-based browser for iOS, Android devices, and other mobile devices. Why is Intacct suitable for medium sized businesses? It comes with a user-friendly interface, convenient even for inexperienced users. The default dashboard is intuitive and familiar, and users get to customize it and create their own shortcuts for the most important functions. It is the most complete core accounting system on the market. For businesses that require a tight grip on project accounting, Intacct can lower revenue leaks, and increase control over basic costs and margins. This can be used to come up with more precise projections. It offers multi-currency management. Businesses looking to grow and expand their operations in several countries will find Intacct’s multi-currency management very beneficial. It processes transactions in a fast and secure manner. Intacct is designed to handle meticulous processing related to credit cards and bills. The software can work closely with e-commerce websites, especially when it comes to online purchases and services by streamlining the processes and providing a secure platform. Purchase orders can be customized to suit the structure of a wide range of businesses. Standard templates of the most common processes are also available. Security is guaranteed. Intacct segregates user access controls or profiles. This can limit a user’s ability to move within the software, blocking various features and actions. Intacct is a quote-priced system, where each company receives an individual package tailored to its needs and requirements. Packages for small and medium businesses start from $400. Wave brings together accounting, invoicing, and receipt scanning into a single compact and straightforward package developing businesses will simply love. The system has one of the simplest and most navigable interfaces, and simplifies accounting processes by helping users get rid of distractions imposed by monitoring expenses, chasing payments, and managing employees and taxes. In this way, they can send personalized, enterprise-grade estimates and invoices, and track performance in a professional manner. Why is Wave suitable for medium sized businesses? It helps create professionally-looking invoices. With Wave, creating professional looking invoices, estimates, and receipts is a smooth process. From this software, you can monitor the status of all your invoices and payments. The system also enables users to accept payments via credit cards, giving you and your customers unparalleled convenience. It is free. Wave’s credit card processing and basic payroll services can be used absolutely free of charge, while the company also offers several professional packages on affordable, pay-as-you-go prices. It automates billing and invoices to save your time. Wave’s automatic billing and invoicing, and features such as recurring bills and invoices, and reminders save businesses a significant amount of time. It tracks expenses. Wave has receipt scanning tools and bank connections, and takes out manual data entry from the equation, significantly streamlining the process without compromising accuracy. The system also prepares your business for tax season without the hassle. OBS is a Subscription Billing and CRM solution designed to helps enterprises graduate from legacy order-to-cash process to a streamlined and automated subscription billing as well as its effective and efficient management.